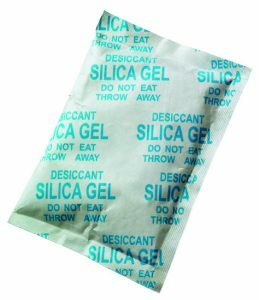 Desi Dry desiccant bags Type B, are filled with white round silica gel beads. Bags made from Tyvek are classified as dust free. Our Desi Dry B version is tested by SGS and Fresenius and can be used in combination with food.